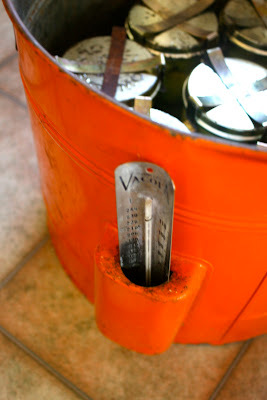 I have just finished a marathon week in the kitchen preserving our summer harvest. 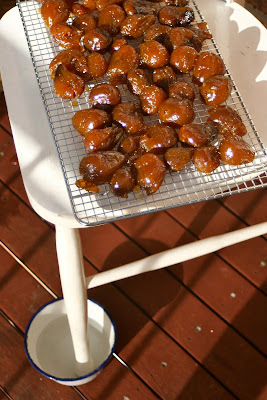 Figs were simmered in syrup, then dried in the sun. 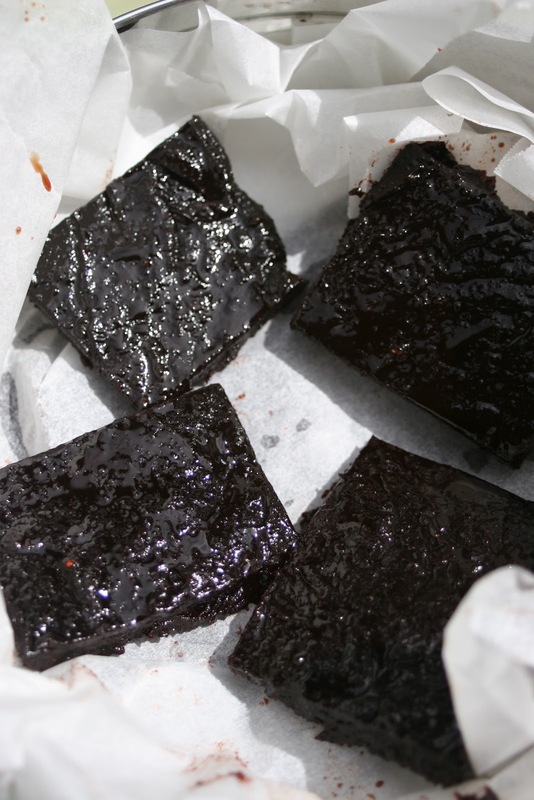 Quince paste was made, and bottles of quinces preserved in Grandma's old Fowlers Vacola. The same rusty old orange pot and sturdy glass jars that helped preserve the fruit from Grant's grandfathers' orchard for generations past. 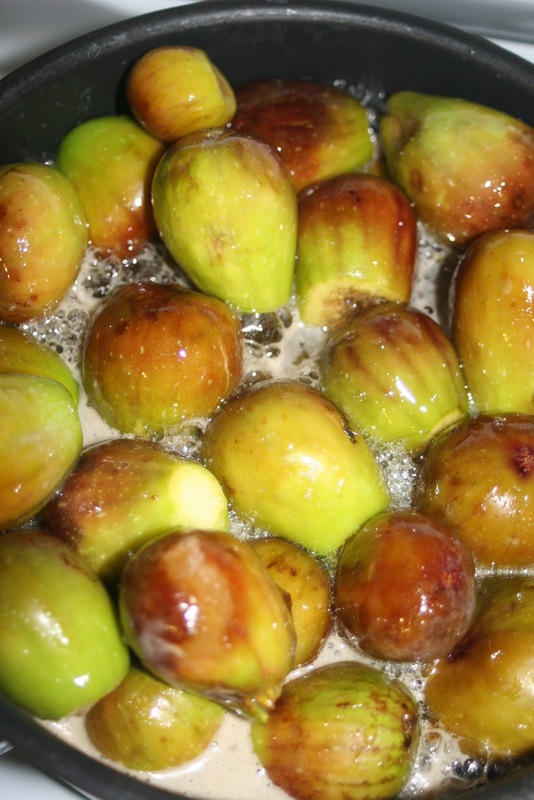 Every night through the long cold southern winters of his childhood they would open a jar of plums, peaches or apricots and spoon the taste of summer into their stomachs with custard or cream. It is a tradition I am happy to continue for our children. I had two baskets full of quinces to play with after foraging through an old abandoned garden in town. The garden's quince tree hangs over a back alleyway and all its fruit grow high up on its spindly branches where they can reach the sun. It took a couple of visits, dodging cars driving past to the bottle shop, to bring all the quinces home, but when we did we had enough to make the paste and bottle eight jars, with a bowl remaining to enjoy now. 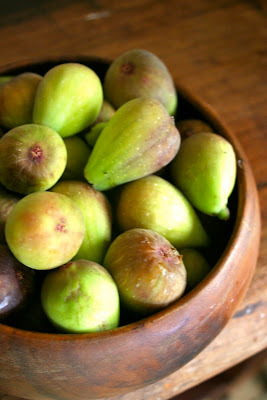 My boys will not eat fresh figs - the taste and the texture do not agree with them. 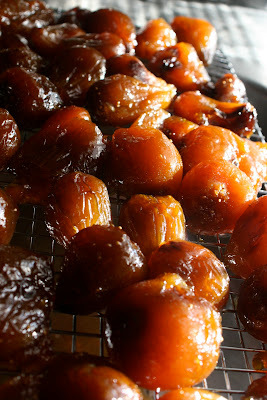 So rather than taking it upon myself to devour the entire crop, I tried these sticky dried figs. 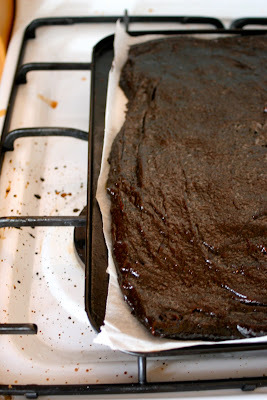 Simmering them in a syrup containing one and a half kilograms of sugar seemed to make them more palatable to the small ones. The figs were then left to dry in the sun on the balcony, carefully screened from flies and resident magpies and small inquisitive hands. When I brought them in away from the dew each night the boys would fall to licking the drops of syrup off the chair. Our water baths designed to foil the ants failed on day three and I caught them just as they were starting to swarm up the rack and onto the fruit. I am storing them in the fridge just in case the ants sniff them out again. I carved up our enormous slab of molten quince past last night and have it stored between layers of baking paper in a deep old biscuit tin. Now we are just waiting for the weekend to serve our first square with a ripe, oozing, unctuous round of brie. That is so good of you, I love that you got the quinces from an abandoned garden. Something that would have gone to waste. I on the other hand could not keep up with the figs on our tree... I need to learn to make jam! Oh how yummo! Those figs look delish and I ahve to say one of my favourite food combos now is quince paste and brie on some crunchy sourdough...oh, and with a glass of wine in the other hand;)What a productive time you've been having. Wow - those figs look amazing!